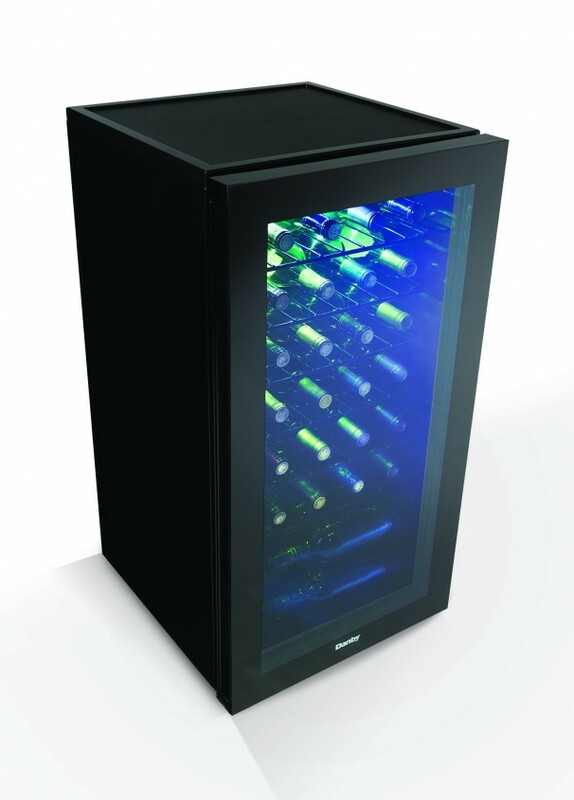 The best way to store and chill your precious wine collection is with Danby's fashionable and convenient free-standing wine cooler. 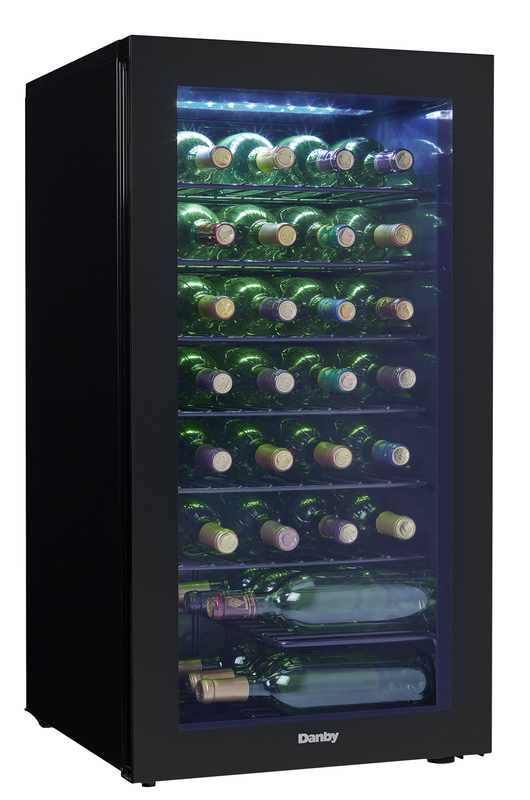 This spacious unit is designed to store up to 36 bottles of your favourite wines on attractive black wire shelving. The blue LED interior lighting beautifully showcases the bottles through an elegant tempered-glass door designed to protect your collection from potentially harmful ultraviolet rays and displays your collection with pure sophistication. 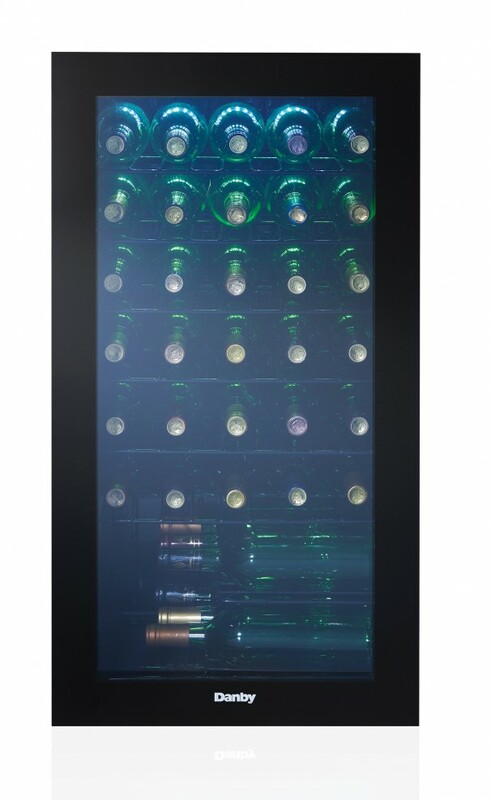 The temperature of the wine cooler will stay between 6°C and 14°C (43°F and 57°F) ensuring the bottles will always be at a temperature best preferred. This appliance features a discrete pocket-style handle and a smooth back design to allow the installation to be flush against a wall. The handy reversible door enables you to open it from the left or right-hand side. Includes a 12-month warranty on parts and labour with in-home service.